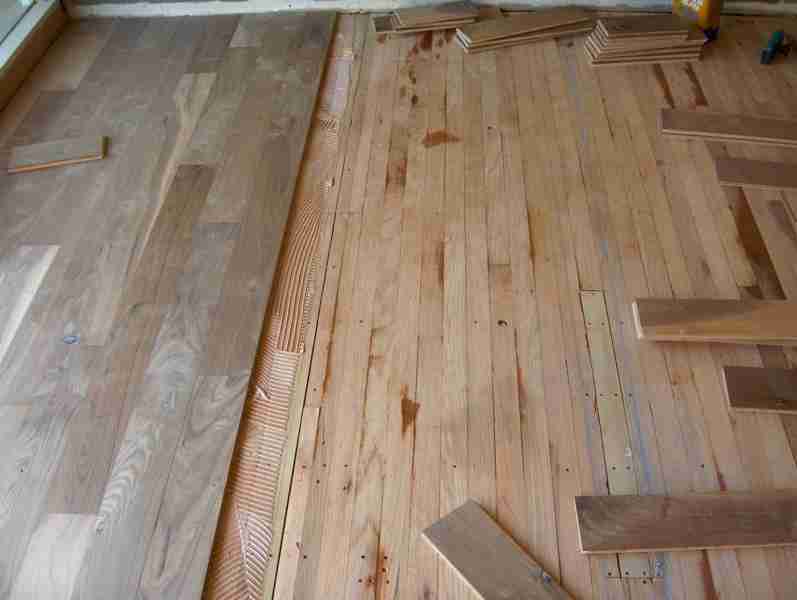 This customer was originally looking for Wood Floor Refinishing in San Diego. 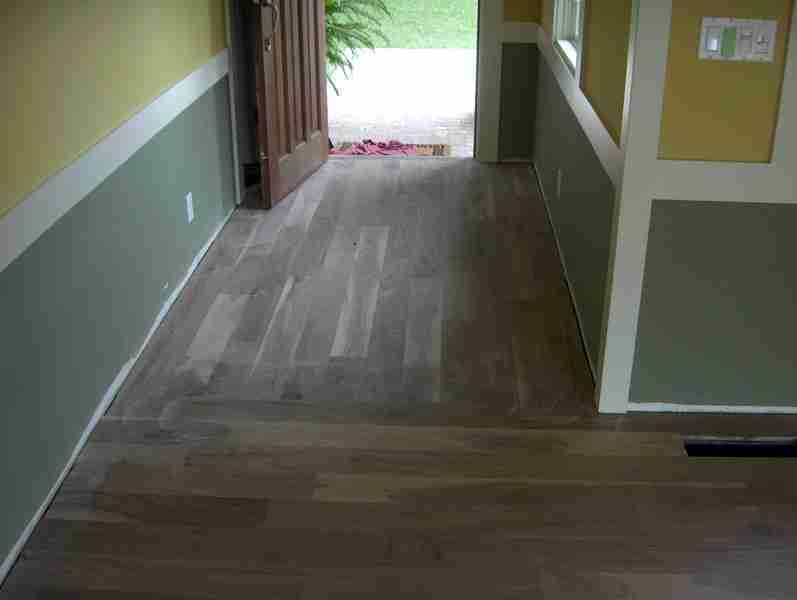 He wanted to give his existing 2” strip flooring a new, unique color. 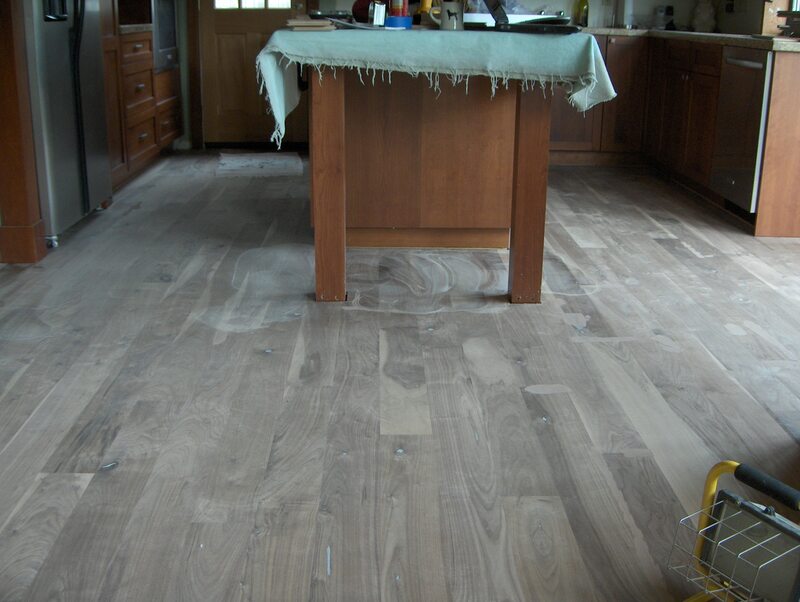 In discussing the project with the client, we found that he really liked the look of wider boards, and we informed him that it was possible to install a new floor over the existing hardwood. 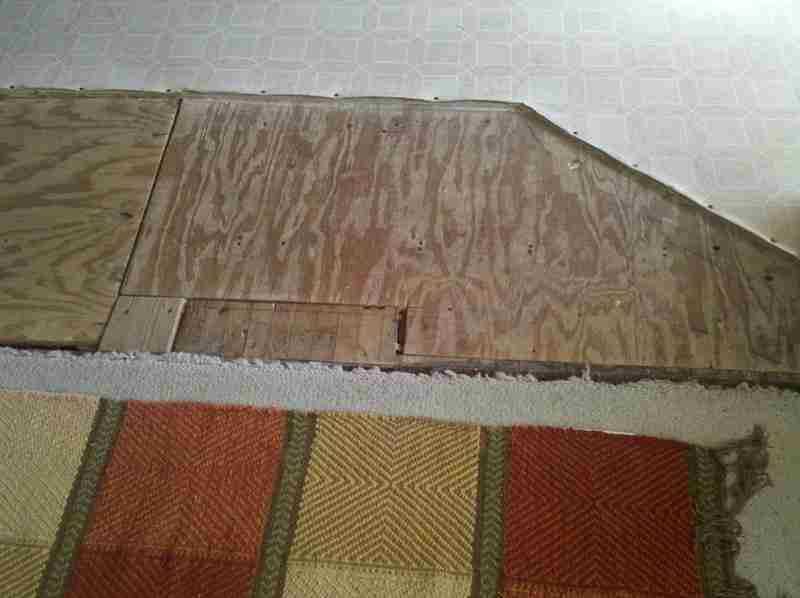 He opted to purchase a whole new floor. 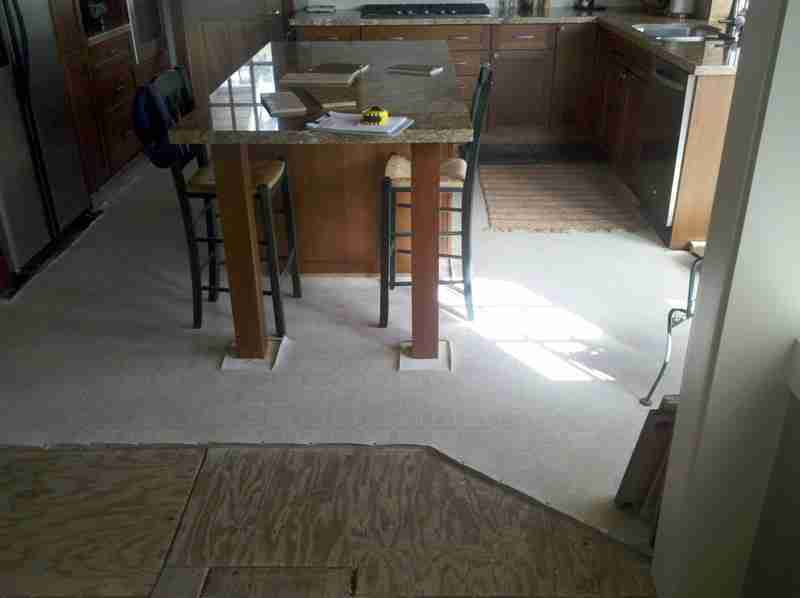 Because the customer desired a specific color, we decided to use an unfinished, engineered 7” wide product. He also requested a product of high quality and substantial construction. This engineered product provided just that, and with a substantial 6 mil wear layer. 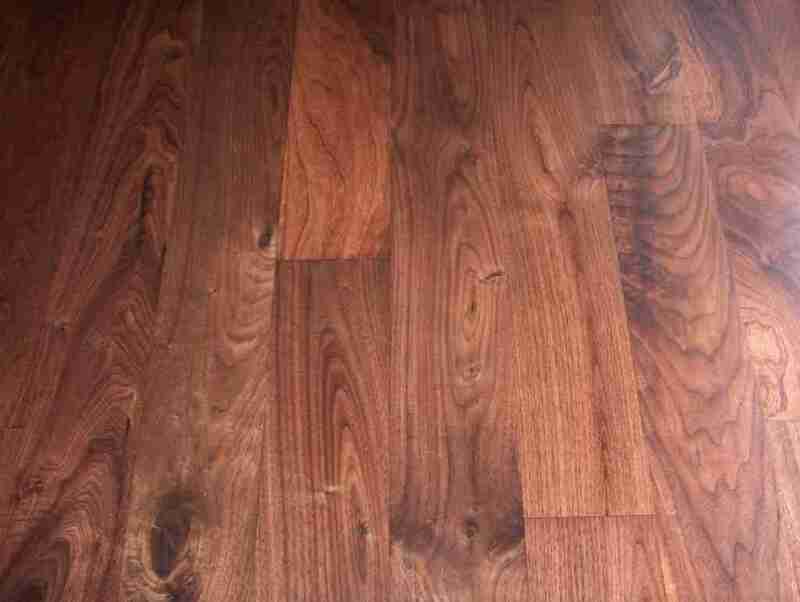 The species is Walnut, beautiful in grain and natural color. 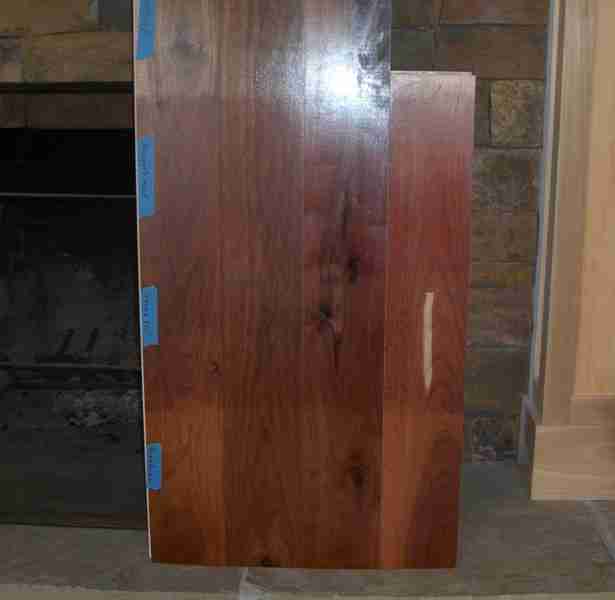 We were able to custom stain the floor to coordinate with the wood furnishings in the customer’s home. We made several custom colors based on the client's original color selections before deciding on the lovely color you see here. 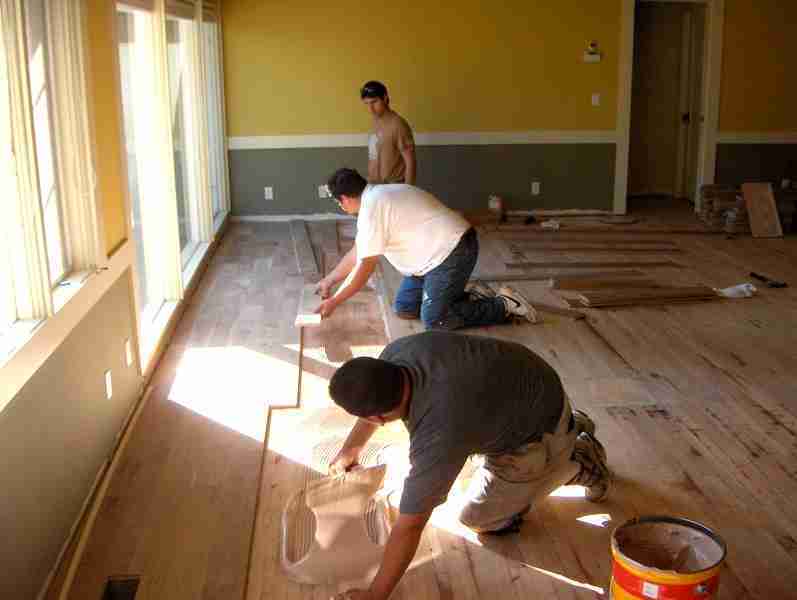 Several areas required leveling and it was necessary to even out the subfloor before we could proceed with the installation and Wood Floor refinishing. 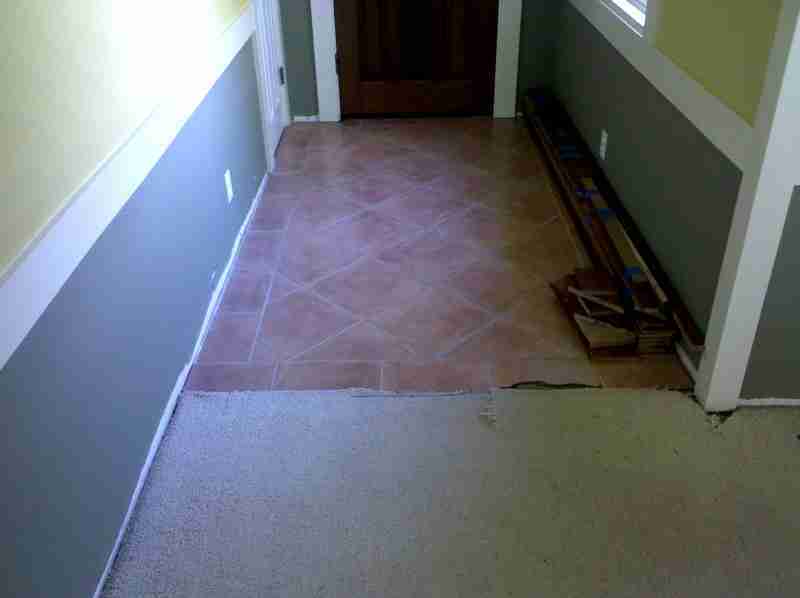 The customer also decided to have the older Spanish tiles in the entryway removed and replaced with the new Walnut hardwood flooring. Notice the change in direction. 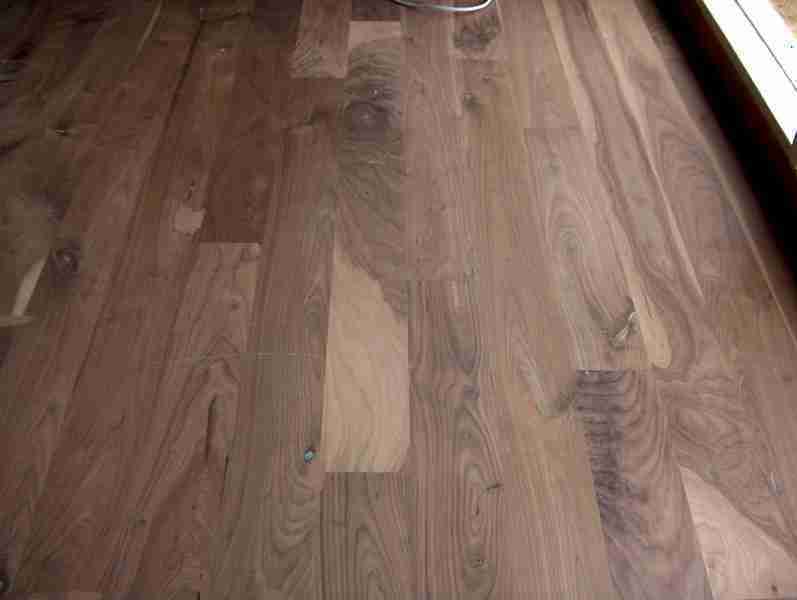 Here is a photo of the final result of this Wood Floor Refinishing in San Diego. 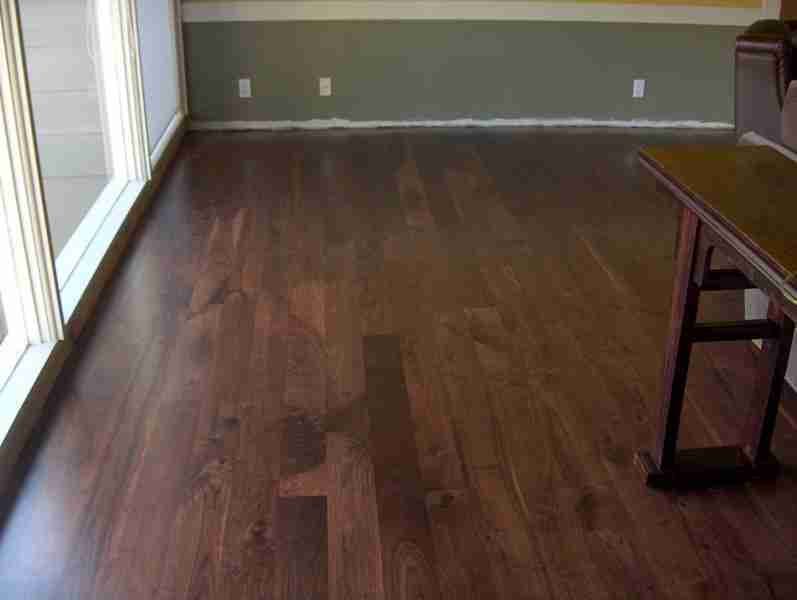 The color turned out perfect and the client was very happy we were able to give him just the floor he wanted. 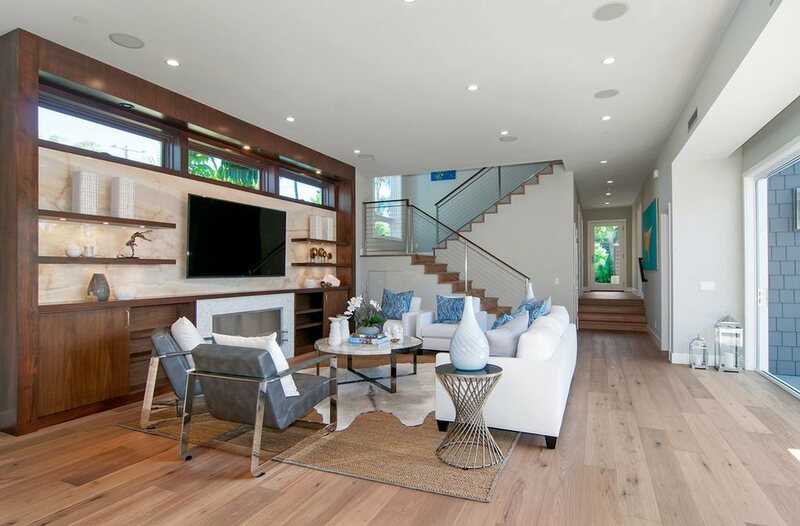 If you are having a difficult time finding just the right hardwood floor, or if your existing floor needs a new look, a custom stained product may be right for you. Give us a call or stop by our showroom.